The musicians of the San Francisco Symphony spent 18 days on strike because their management refused to raise their wages for the next contract. 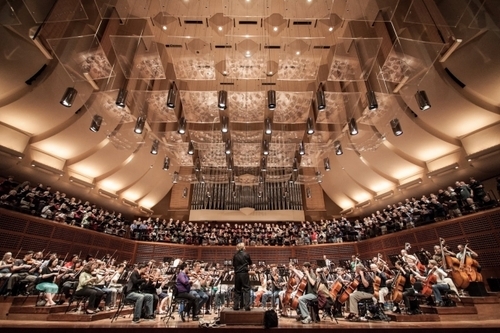 The San Francisco Symphony is a world-renown choir that performs from their home of Davies Symphony Hall to the East Coast. The musicians’ contracts expired in February, and the musicians felt they were not given enough of a pay raise in their new 26 month contract. SF Symphony at Davis Symphony Hall. The musicians say that they deserve a 5 percent raise because many other musicians on their level, like the Los Angeles Philharmonic are paid that much. Their union, the Musicians Union of San Francisco tried to negotiate with management, but when they weren’t given what they wanted, the musicians decided to go on strike. “It’s kind of upsetting. I love the SF Symphony and any time they aren’t making music is sad. But if they’re doing it for higher wages, they certainly deserve them,” stated freshman Sierra Segal. The cost of living in San Francisco and the Bay Area is higher than areas such as Los Angeles, which makes the musicians’ need for those extra wages necessary. They also have to buy the best quality instruments for themselves, sometimes which cost over one million dollars. The strike resulted in the cancellation of four concerts in the Bay Area and four concerts in their East Coast tour. This is the first strike since the 1996-1997 strike, which resulted in 43 concerts being cancelled. The musicians also feel that the pay scale not being up to par lowers the quality of the musicians. This disagreement has already resulted in one member of the symphony leaving and joining another symphony. “That isn’t fair because the musical world is a tough one and they deserve to be payed as much as any other musician,” stated sophomore Maddy McGee. Luckily, the union and management came to an agreement so concerts would go forward and the quality of the symphony would stay in tact. Next Post America: the land of the free and home of the disheartened?